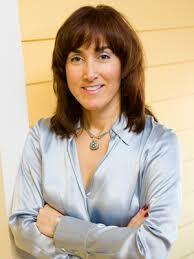 Hollis Thomases, the founder of ReinventionWorks, joins host Deirdre Breakenridge on Women Worldwide. Driven by her passion for helping people and facilitating significant transformation, Hollis is a 2x entrepreneur. She is also an award-winning digital marketing pioneer, who became a syndicated columnist for Inc.com and a book author, Twitter Marketing: An Hour a Day. On the show, Hollis discussed the difference between change and significant transformation. Most people don’t realize that change happens all of the time and does not lead to reinvention, which is moving in a completely different direction in your career or life. Hollis shares her story of reinvention and how she conceived her business, Reinvention Works, in 20 minutes while she was serving jury duty. Hollis imparts advice to people who are facing challenges when they make a significant transformation. She also discusses the survival skills to deal with 21st-century stress. ReinventionWorks re-ignited Hollis’ joy for work. Her startup utilizes her best talents and skills: big-picture thinking; strategy; writing, content creation, and curation; fostering and facilitating relationships; providing guidance and support; training and education; and productization. ReinventionWorks brings together all of the moving parts of deliberate change and acts as the conduit between all the players. You can connect with Hollis on LinkedIn.